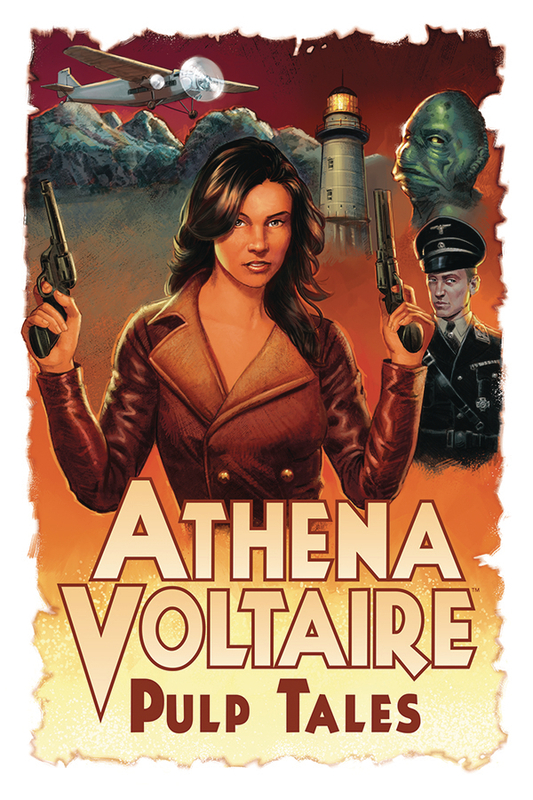 Greetings Loyal Airmen, a few months ago we mentioned ATHENA VOLTAIRE – PULP TALES. Here’s more about that amazing character and our personal involvement. 8 yrs ago Steve Bryant asked me if I’d like to write a prose Athena Voltaire story for a new anthology he and Chris Murrin were putting together. As the AirChief had been a fan of this globe-trotting aviatrix from day one, we jumped at the chance and delivered something called “The Austrian Prisoner.” Again, 8 yrs ago. The book was officially released to Amazon last year with a wonderful introduction by New York Times bestselling author, Paul Malmont who had some really nice things to say about the Air Chief. Steve, who stuck with the project through thick and thin explains the hurdles this book went through to finally reach publication in a post-essay. 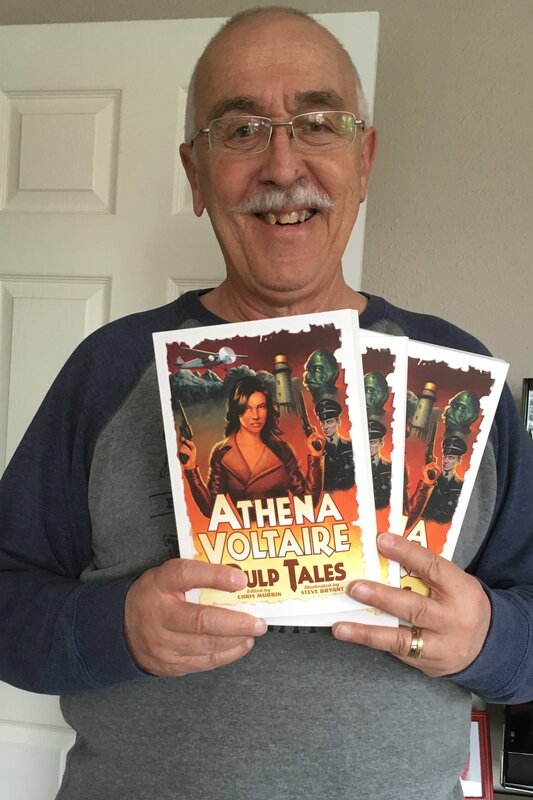 That’s us above, holding these copies in my hand…think the wait was TOTALLY worth it. 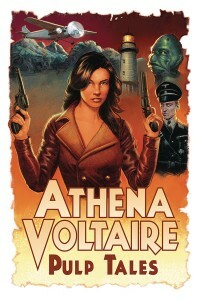 If you haven’t picked up a copy yet, you are missing one of the best New Pulp titles on the market today. Nuff said! And thanks Steve. Meanwhile in the here and now, our beloved Boston Red Sox have been on a tear since the baseball season got under way. 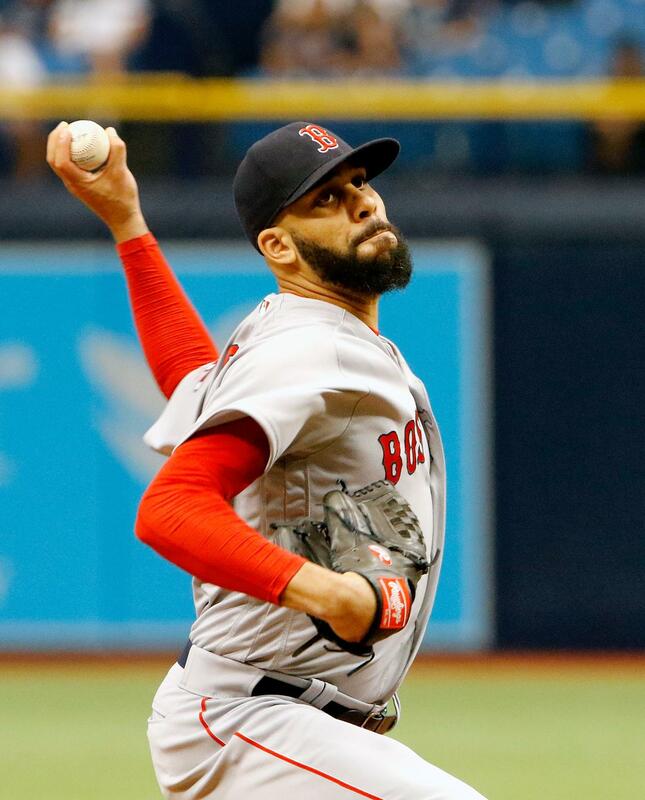 With spot on pitching and the bats coming alive, as of this week in April, the Sox have the best record in baseball as they play out on the west coast. 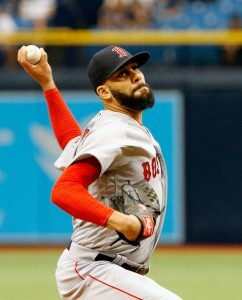 In fact in last night’s game against the Los Angeles Angels, pitcher David Price was stellar only giving up one run while Mookie Betts 3 home runs powered the Red Sox to a 10 – 1 victory. GO SOX!!! 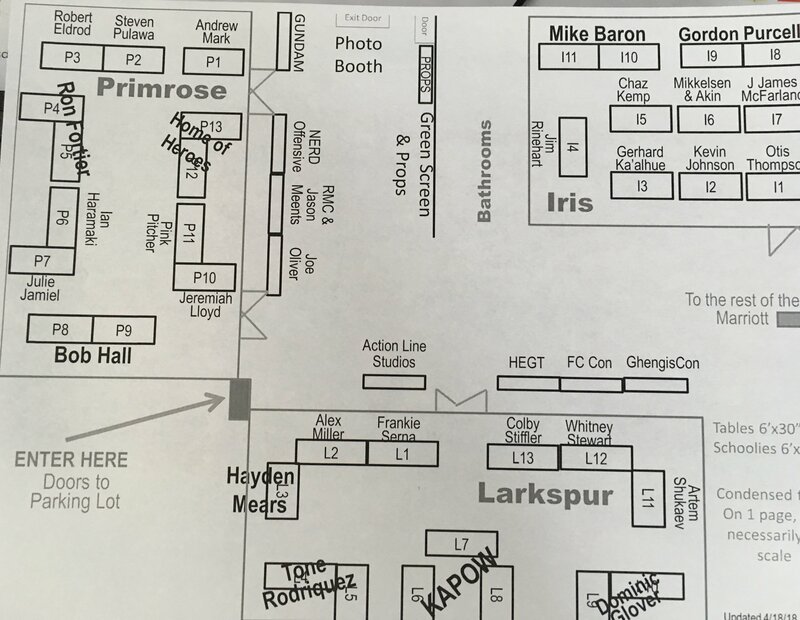 Finally, the convention season rolls on and Valerie & the Air Chief will be in Denver all weekend long as guests of ComicFest held in conjunction with StarFast (one half for comics, the other for sci-fi) being held at the Marriott Convention Center. The show opens Friday afternoon at 3 P.M. and runs till 7 PM. Then all day Saturday and Sunday. On Saturday afternoon the Air Chief will host a fun panel to discuss robots in comics. We previewed this a few weeks ago right here in the Flight Log. Joining us on the panel will be pros Bob Hall, Tone Rodriguez and Gordon Purcell. It looks to be a fun and lively discussion. So if you are anywhere in the Denver area this weekend, do stop by and say. 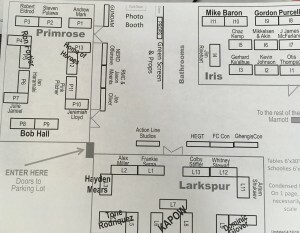 The Air Chief will have two tables filled with comics and pulps. Lots of good treasures in the mix. We hope to see many Loyal Airmen on hand.